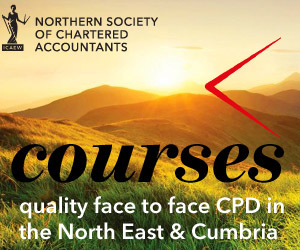 This half day course will benefit any tax practitioner who deals with tax compliance and planning for clients in this specific business sector and who is likely to have to advise on income or capital tax planning issues. The course provides a review of the current UK tax regime applicable to such businesses and seeks to identify the specific compliance areas and planning opportunities and pitfalls relevant to this important businesses sector of the UK economy. Russell Cockburn is an independent taxation consultant, author and lecturer. Formerly an Inspector of Taxes with a range of tax experience in HMRC he joined the wider tax/accountancy profession in 1987. In 1989 Russell established his own specialist taxation consultancy practice and heads up Bluebell House Consultants LLP, a tax consultancy and training partnership based in Cumbria. Russell has lectured all over the UK on tax as well as in diverse locations as far as Mauritius! Russell also writes on tax matters for a number of well known publications such as Taxation, Tolley’s Practical Tax, Planned Savings, The Tax Journal and Accountancy.